Visual Health and Care,Conjunctivitis,Cornea Diseases,Glaucoma and Amblyopia,Iritis,Retinal and Vitreous Disease Treatment,Macular Degeneration Disease Treatment. 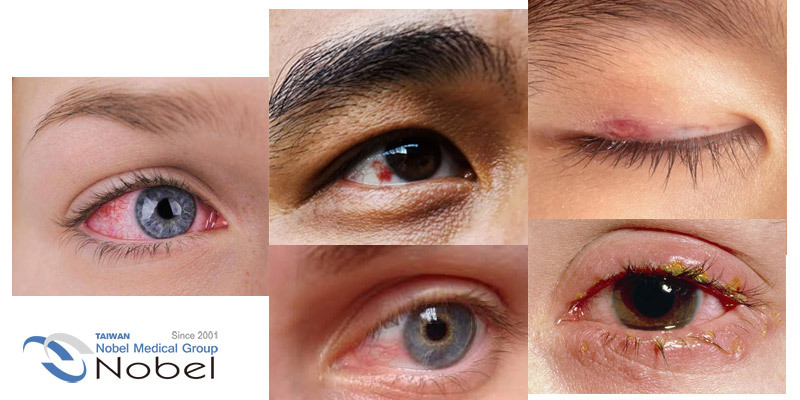 Conjunctivitis is an inflammation of the conjunctiva, the mucous membrane covering the eyeball and interior eyelid. This condition is most commonly caused by dry eyes, allergies, bacterial infection, or viral infection. Some strains of conjunctivitis are very contagious, so it is important to avoid busy public spaces until your optometrist has established a diagnosis and provided further instructions. Treatment for conjunctivitis varies greatly depending on the type. While antihistamines relieve symptoms associated with allergic conjunctivitis and antibiotics cure bacterial conjunctivitis, neither are effective against dry eye or viral conjunctivitis. This is why only an eye doctor can accurately diagnose and appropriately treat your particular type of conjunctivitis. The body does not naturally produce enough tears. The body does not produce quality tears. At Modern Eyes Optometry we perform specialized diagnostic tests to evaluate the quality and quantity of your tears to help properly manage the type of dry eye disease you have. We understand there are more effective treatments than just eye drops! Open-Angle Glaucoma is when the angle between the iris and cornea is wide enough to facilitate proper drainage of the eye fluid (aqueous humour) but the IOP continues to rise. This form of glaucoma is the most common, building slowly over time. Acute Angle-Closure Glaucoma is when the angle between the iris and cornea suddenly closes and the aqueous humour is no longer able to drain, causing an abrupt increase in IOP. This type of glaucoma causes noticeable symptoms, including nausea, intense headaches, eye pain, blurry vision, and sudden loss of sight. Acute angle-closure glaucoma is a medical emergency and requires immediate attention. Normal Tension Glaucoma is when OP appears normal, but the optic nerve still sustains damage. This is the least common and most baffling form of the disease. Because glaucoma does not usually present symptoms, the best way to detect glaucoma early and preserve vision is through regular ocular health assessments with an optometrist and the use of advanced diagnostic equipment. Glaucoma can be treated, preventing or delaying further damage with the regular use of medication. If medication does not have the desired effect, an optometrist may refer patients for laser surgery or other surgical treatments. The macula is the small area of the retina responsible for detailed central vision. Age-related macular degeneration (AMD) is a disease that results in poor macular function, decreasing vision over time. Permanent damage to the macula can be caused by deposits (drusen) collecting on macular tissue (Dry AMD) or by irregular blood vessel growth invading the macular tissue (Wet AMD). AMD does not typically present symptoms until the disease has already caused significant damage and vision loss. Early detection and treatment is possible through regular ocular health assessments with an optometrist. The most effective way to treat Dry AMD is to take supplements specifically tailored to your DNA (genetics). This test can be performed at Modern Eyes Optometry. Patients with Wet AMD will be referred to an ophthalmologist for medical treatment involving injections into the eye. Cataracts are a common part of ageing. In fact, most patients over 40 years of age have some level of cataract development. Over time the proteins in the lens of the eye start to restructure, grouping closer together and becoming cloudy. This condition can be made more severe by long- term exposure to UV rays without protection (i.e., sunglasses). A cataract can make it difficult to see clearly and cause colour to appear washed out or faded. Once a cataract reaches a certain level, optometrists will refer patients to an ophthalmologist who will surgically replace the natural, cloudy lens with an artificial lens called an intraocular lens (IOL). Patients will notice a significant improvement in the colour saturation and clarity of their vision shortly after surgery.